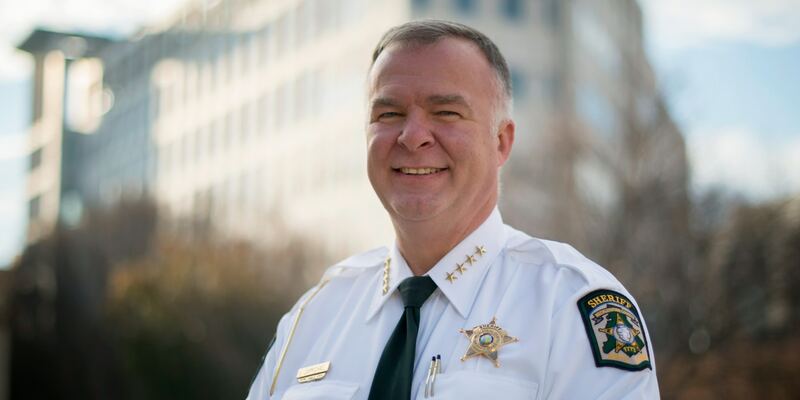 Immigration activists are pushing the newly-elected sheriff in Wake County, North Carolina to follow through on his vow to end the county’s cooperation with Immigration and Customs Enforcement (ICE). The defeat of Sheriff Irwin Carmichael in Charlotte is also being credited for organized opposition to his department’s cooperation with ICE. Wake is one six counties in North Carolina which partner with ICE to transfer to federal custody people who have been arrested and are believed to be in the U.S. illegally. The defeat of Sheriff Irwin Carmichael in Mecklenburg County is also being credited to organized opposition to his department’s cooperation with ICE. The program that has led to more than 1,000 deportations in Wake in less than five years, the Raleigh News & Observer reported. A rally hosted by Familia Si, 287(g) NO, a campaign aimed at ending Wake County’s participation in the ICE program was held in downtown Raleigh on Nov. 8. Ivana Gonzalez, a Wake County resident and an organizer of the rally, said she was pleased with Baker’s victory. Between 2013 and 2017, the Wake sheriff’s office processed nearly 11,000 people through the 287(g) program. Of those, 1,483 people were deported, the News & Observer’s report said.